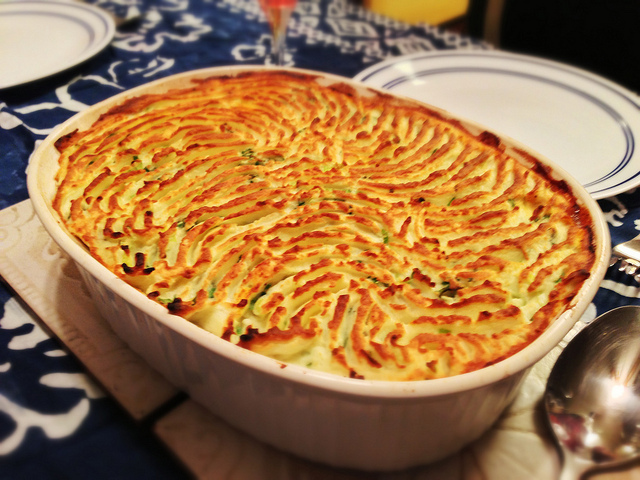 Note: Today, I am posting a soft food shepherd’s pie and I mention in my discussion that I had made one earlier for Thanksgiving. I realized that I had never posted the recipe. 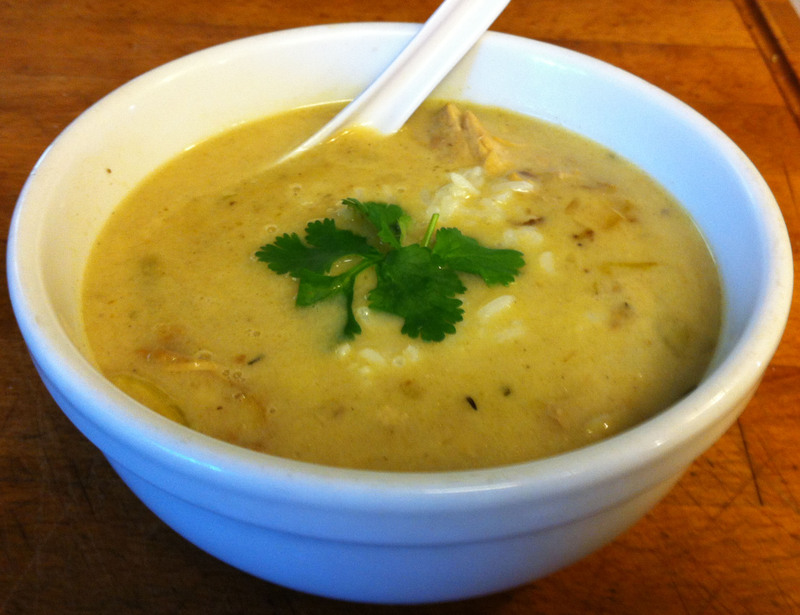 Turkey Mulligatawny is a childhood memory. Every year, that I can remember, my mother, Claudia, would make it with the carcass of the Thanksgiving turkey. It is, however, as Indian as chop suey is Chinese. Simply, not something a native cook would make. Jan has been sick for the last few weeks, so I have been making a lot of chick soup. 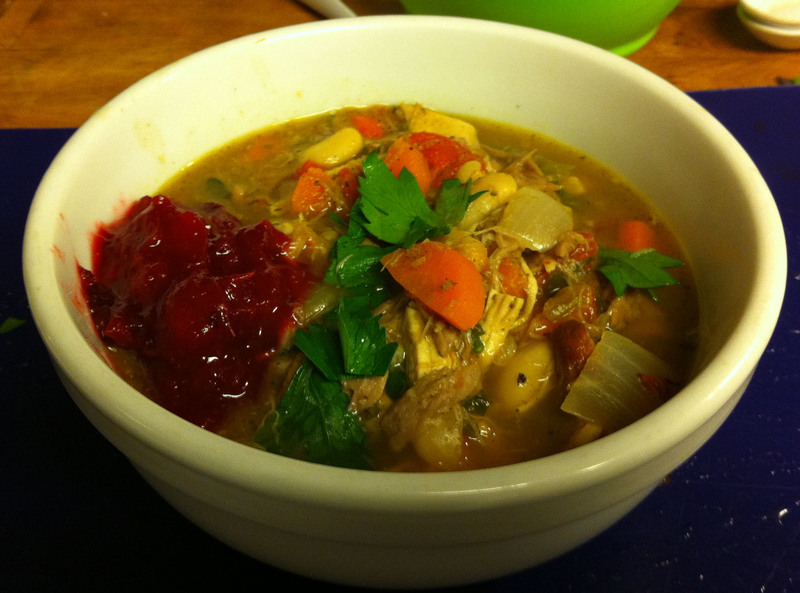 Since it is November and turkey necks are available and cheep, I decided to switch it up and make turkey stew. Three necks make for a hearty stock, but I am tired of noodles. Cannellini beans led me to think of this one as Italian. Jan really loves turkey and she has been running her legs off at work (literally, yesterday she walked 7 miles back and forth across campus, as recorded by her Fitbit). I decided to surprise her tonight with roasted turkey, stuffing and green beans, but I wanted to keep it to a weekday’s level of effort. 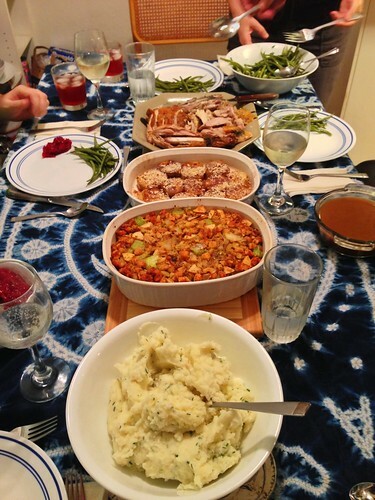 This year we had a Thirdsgivingday feast (the third day after Thanksgiving–an Eilene-ism). The kids were having Thanksgiving dinner with friends, so I was doing the whole Roast Turkey dinner thing as our Sunday dinner. I don’t do much of anything special when I cook a turkey (butter, poultry seasoning and some kind of citrus in the cavity (lemon or orange, whatever I have to hand). My dressing, on the other hand, is something I always make. It is based on my mother’s Poultry Dressing recipe, but I have taken it a long way from there. This year I had to leave out the pecans, because Jan had used them all for her Pecan Tarts. But it is all good, this is a very flexible recipe. Jan wanted turkey and I was planning to make a turkey tagine this Sunday. Myr, however, has spent the week dodging missiles in Israel, so she was a bit off Middle Eastern food. 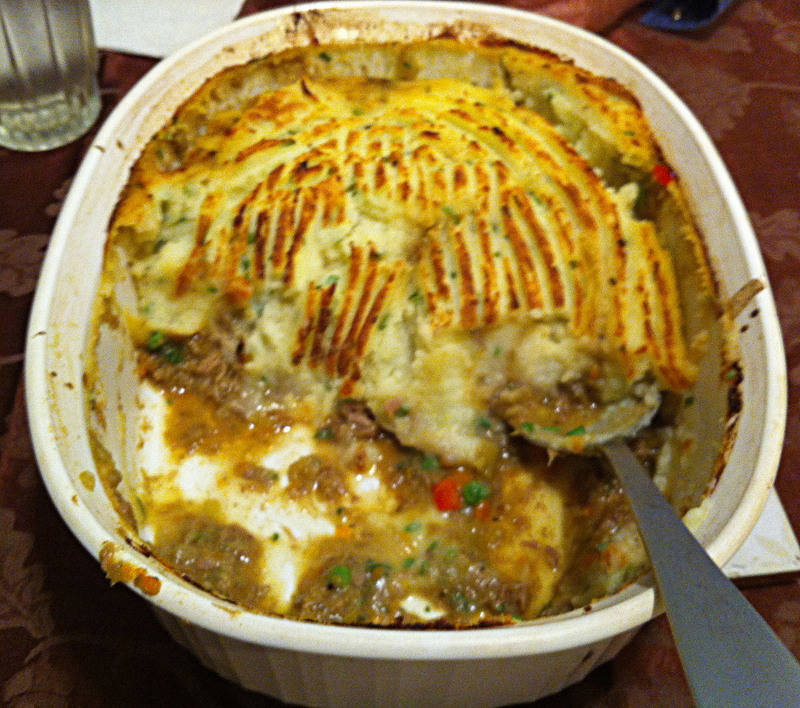 I quickly switched to making a Turkey Shepherd’s Pie. This led to another hitch, it is Thanksgiving week and you can buy all of the whole turkeys you want, but a package of turkey thighs was not to be found. I finally settled on smoked turkey legs as the base of my pie.